A.L.A. RETTIFICHE was founded in 2004 and now it is affiliated to FIR, taking advantages of A.L.A RICAMBI logistical structure, for immediate delivery of manufactured goods. 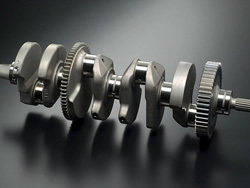 We have got true experience in the reconstruction of industrial and cars engines. In addition, we offer review of speed manual gearboxes, turbines and all kinds of precision machining.